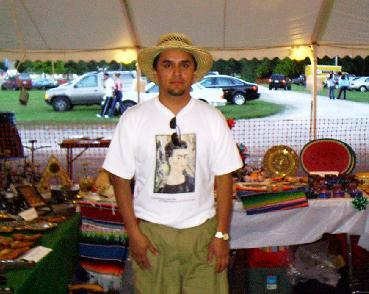 Beautiful arts & crafts brought directly from the southern states of México. Indianapolis ­ Mayor Bart Peterson today said Indianapolis city government would recognize the matricula consular, or matricula card or a Mexican ID card, as a valid form of identification. Indianapolis - The Indiana Association for Community Economic Development and the Purdue Cooperative Extension again partnered to present the 3rd Annual Statewide Summit on Hispanic/Latino Issues. This event took place on June 17th, 2003 at the Radisson Hotel in downtown Indianapolis.